I just love a home cooked meal. I'm not much for eating out, but on special occasions. The more I eat out, the more I don't feel well. I love to cook for my family. I love a good casserole. My guys, well at least 3 of them, love meat and taters. Simple, Easy and Mighty Tasty! We like taters, I mean who doesn't? We fry them, mash them, boil them, shred them. 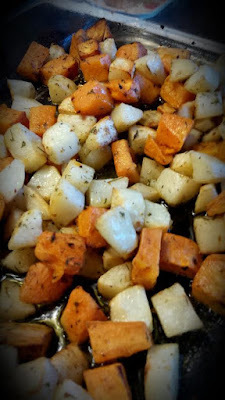 But, I love how yummy these roasted taters are! here is what I do prepare them. Drizzle Olive Oil in a 10x15 pan. 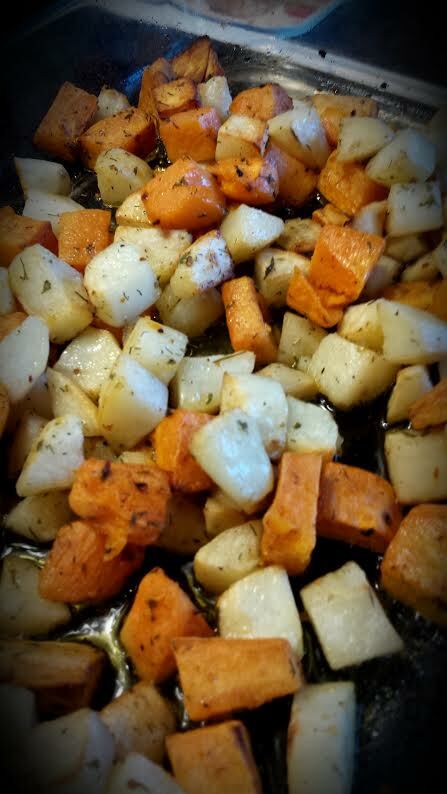 Pour the taters in your prepared pan. stirring every 15 minutes or so. How do you like to cook your taters? My guy is a meat and potato man! Those beauties are a staple around here. I roast mine on a cookie sheet with olive oil and salt. Yum! 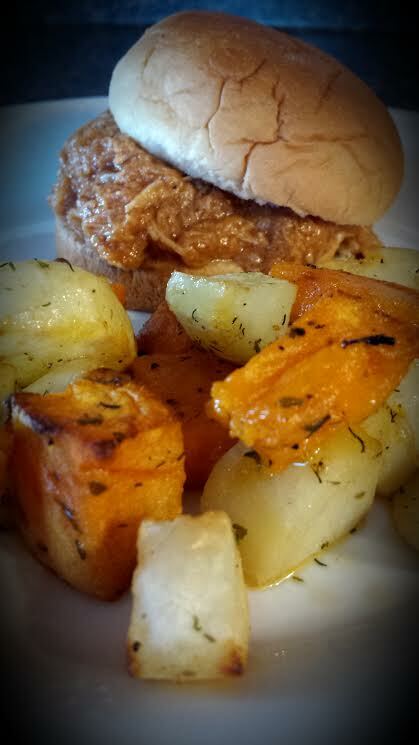 We eat BBQ pulled pork sandwiches but never chicken. I will have to try that next month. I am sure the family would like it! Amy, I have roasted potato's but never added sweet potato's, I'll have to try that next time. I love sweet potato's. Mmm...these look so good Amy! I do admit, that we don't eat a lot of potatoes due to the carbs but we do have them occasionally. I will tell you though that sweet potatoes are a different story. My hubby doesn't like them boy, I sure do and they are the GOOD kind of carbs! Mashed potatoes are my go to when I am looking for comfort food! Morning, These really are one of my very favorites! I will be making these soon as they do not have gluten in them! 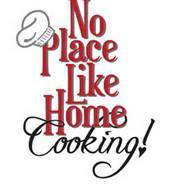 I so appreciate your home cooking and your baking! The heart of the home really is the kitchen! I have both types of potatoes, but never thought to combine them. Thanks for the great idea!